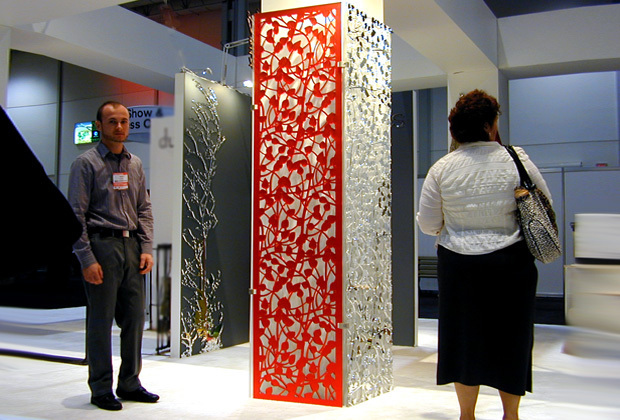 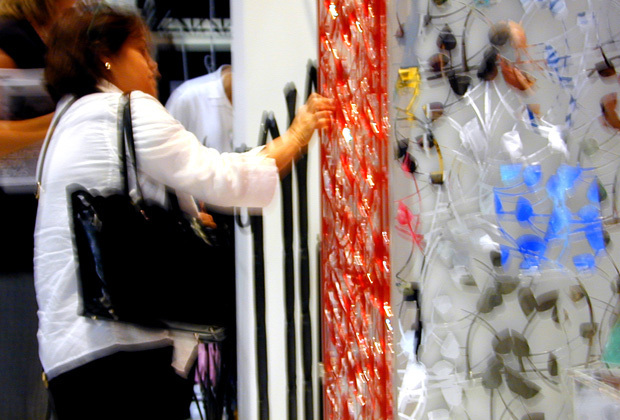 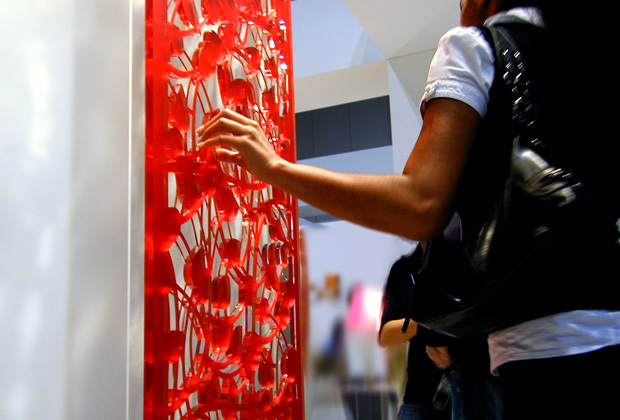 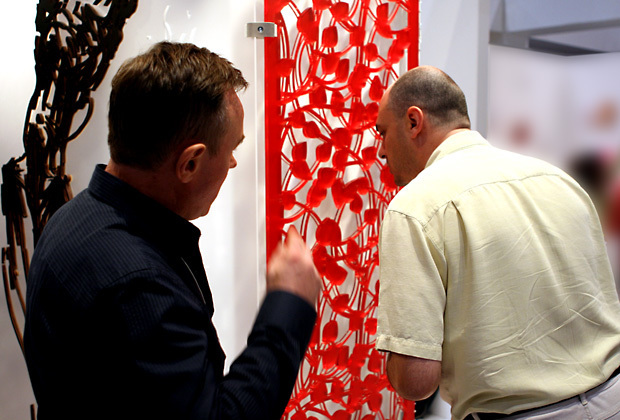 3D decorative freestanding screen in Pastel Ice Metallic® Red finish, optional cable, rod mounting system or wall mounted with decorative caps, first presented at the IIDEX 2007 show in Toronto. 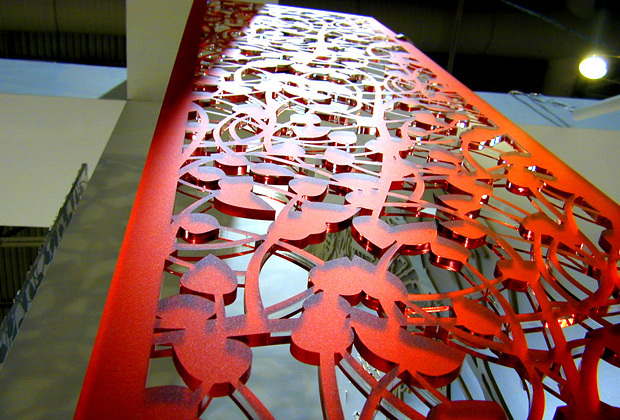 Available in many different designs or by customer specifications. 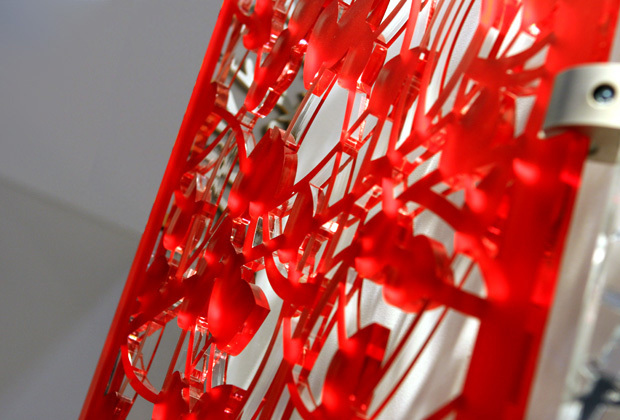 Available in 20 Pastel Ice Metallic® colors, made of frosted acrylic.